SmartTRAK, the leading source of competitive life sciences intelligence used by the top ten global orthopedic & wound care companies, has published its Q118 US Surgical Matrices Market Recap. 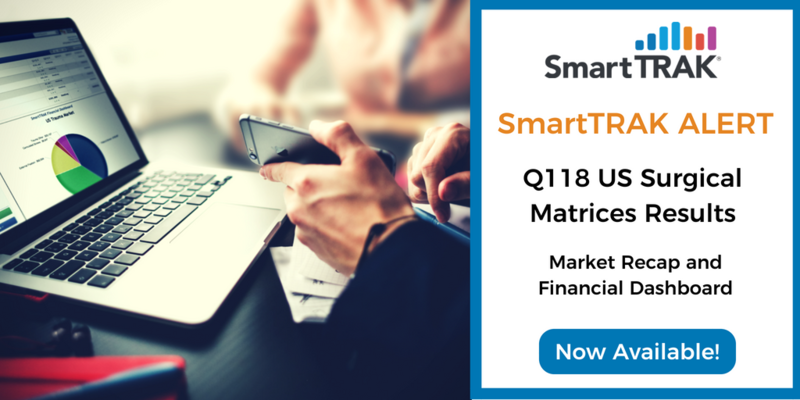 In Q118, the US Surgical Matrices Market grew +8.9% YoY according to BioMedGPS’ SmartTRAK Financial Dashboard. The allograft breast matrices and biosynthetic hernia matrices segments outpaced overall market growth, as both posted strong double-digit gains in Q118.